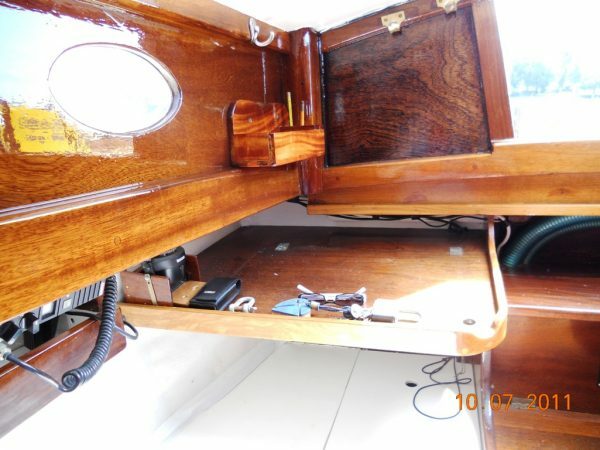 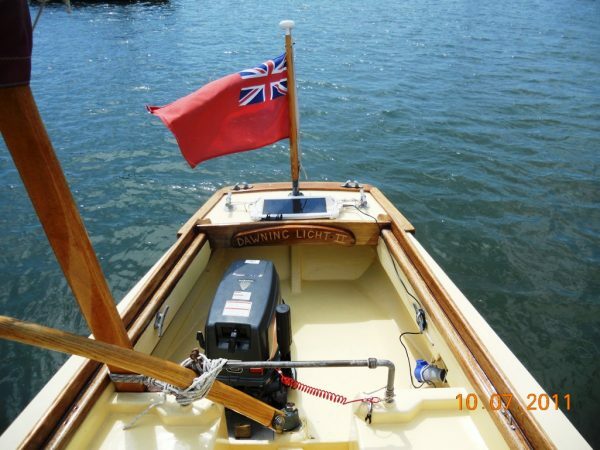 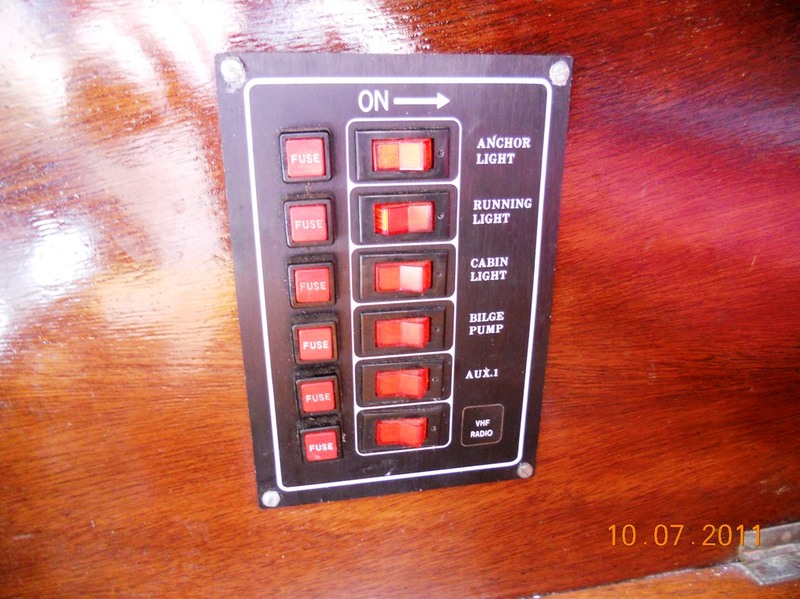 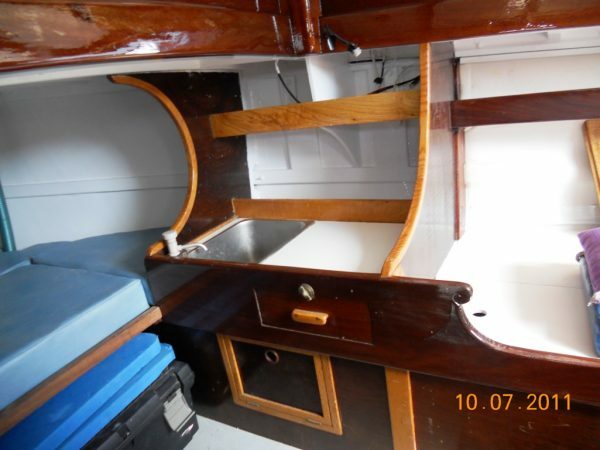 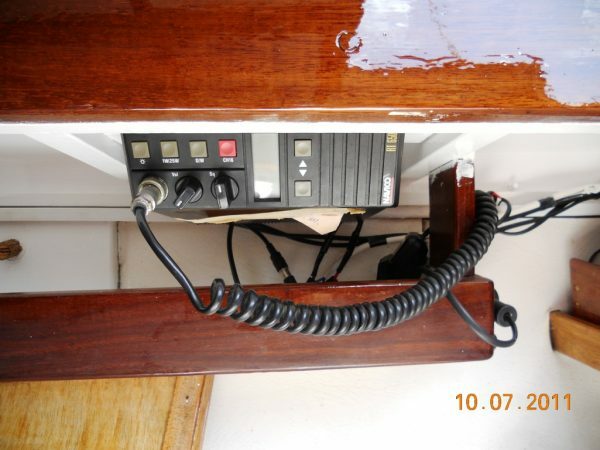 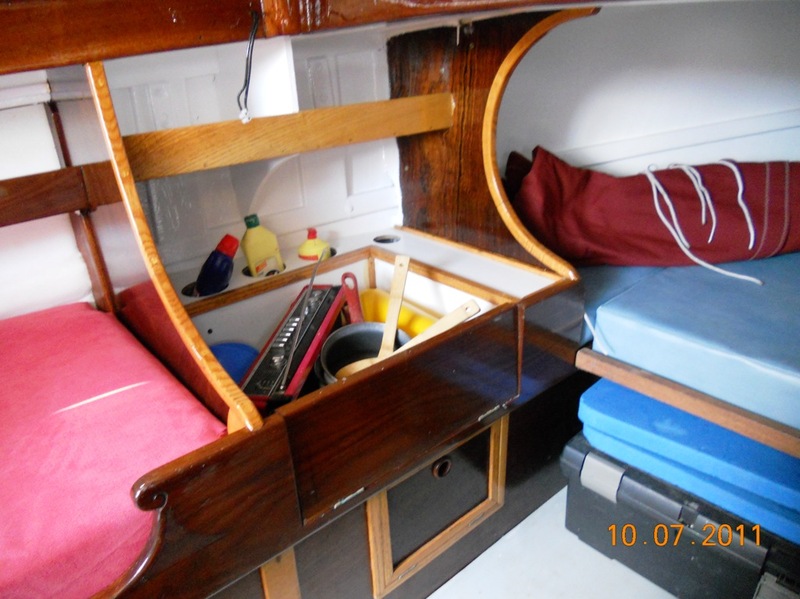 ….. SOLD – April 2013 …..
Construction: Hull – Cold Moulded from four layers of Mahogany, epoxy glued. 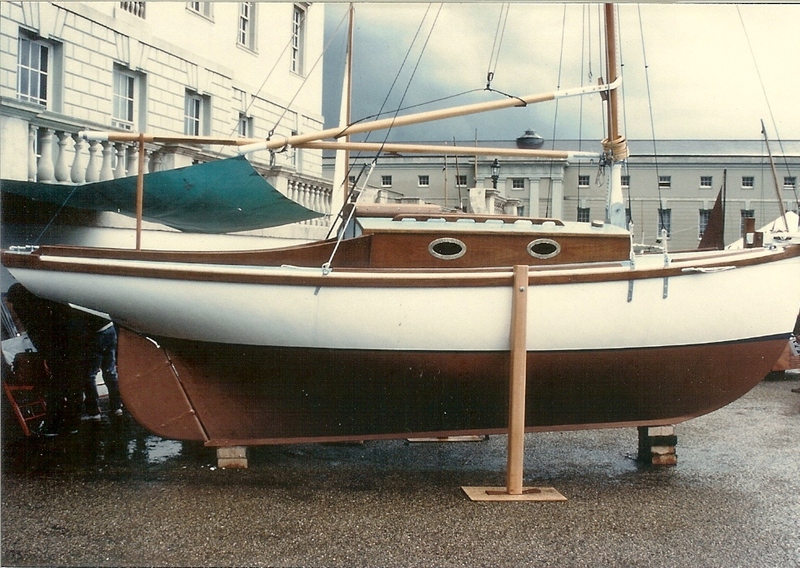 Deck – marine plywood sheathed and epoxied. Keel – Lead with silicon bronze bolts. Lead and iron internal ballast. 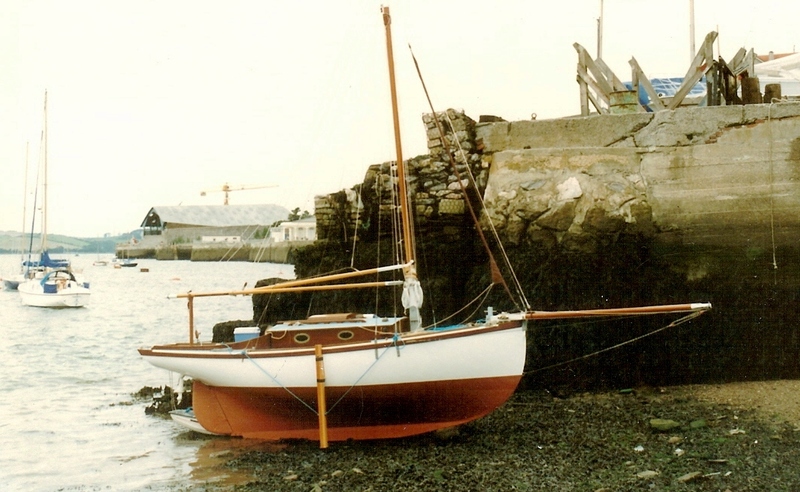 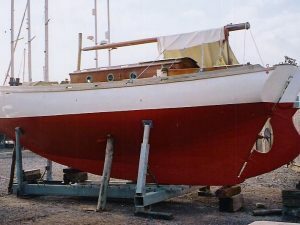 Builder: Built by Benfleet Boat Co in 1987/91. 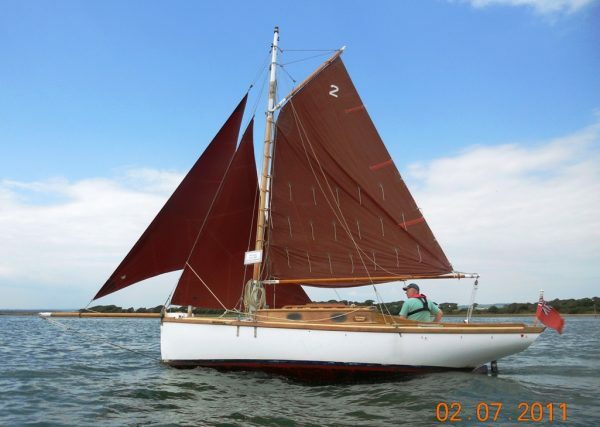 Lines based on a 1934 Reg Freeman designed boat built by Johnson and Jago in 1934 but with the addition of a counter stern. 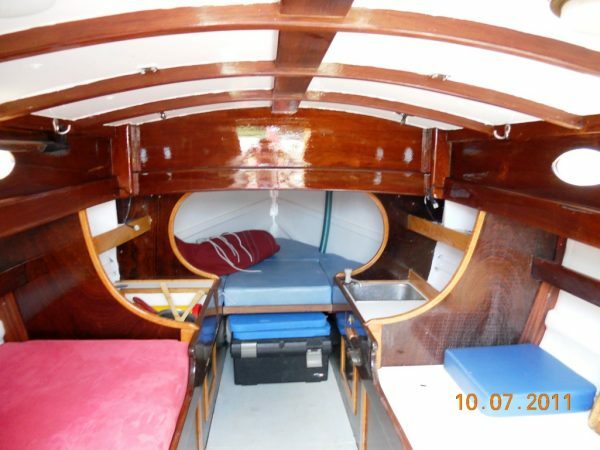 is a great compromise between the beauty of a classic wooden yacht and the simple maintenance of a modern GRP yacht. 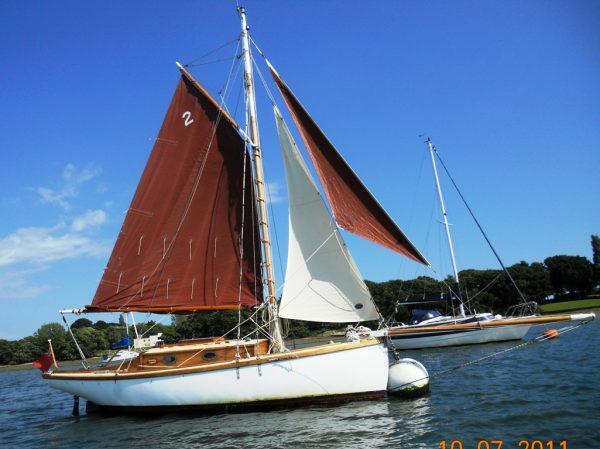 She has a very powerful rig and her suit of sails will cope with all winds between F6 and F1, I’ve particularly enjoyed light wind sailing with the powerful mainsail bellied out but F3 & F4 are exhilarating under full sail. -flies along in F6 with a small staysail, no jib and all 3 reefs in the main. angle gives confidence to her crew. -heaves-to beautifully and allows foredeck work to be done with ease. -drifts steadily with tiller amidships to allow crew to attend to the sails, even single handedly. 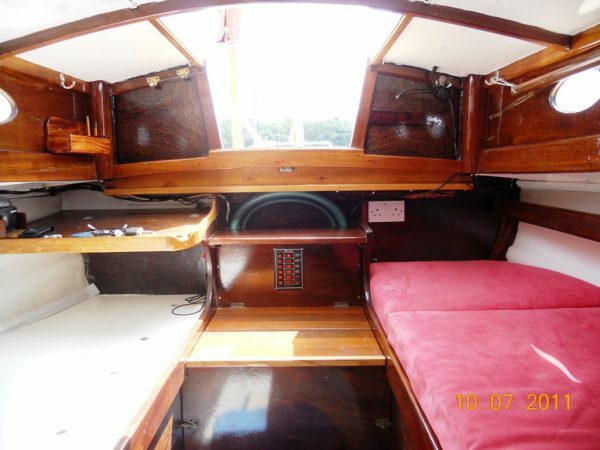 -is very forgiving to the helmsman and can be sailed in an unbelievably relaxed manner. 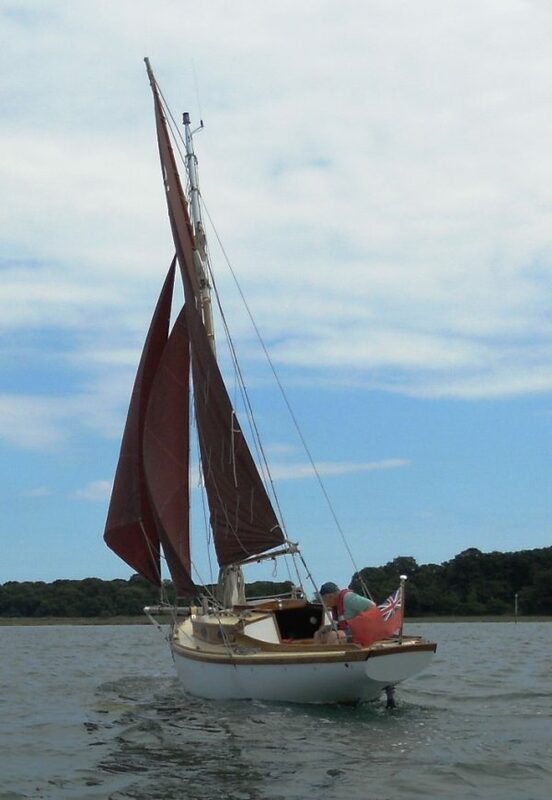 of tweaking the set of the sails. -sails well with just staysail & main, which helps to get to know her ways. 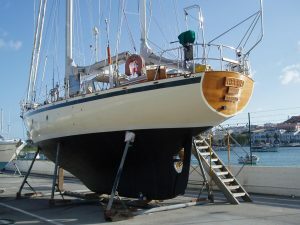 moored (best to anti-foul leg). 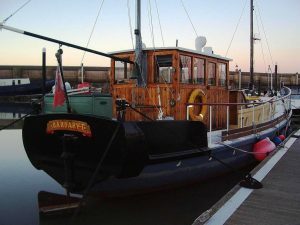 marina at cheap winter rates. Jibs are set flying with Wykeham Martin furling gear (optional). 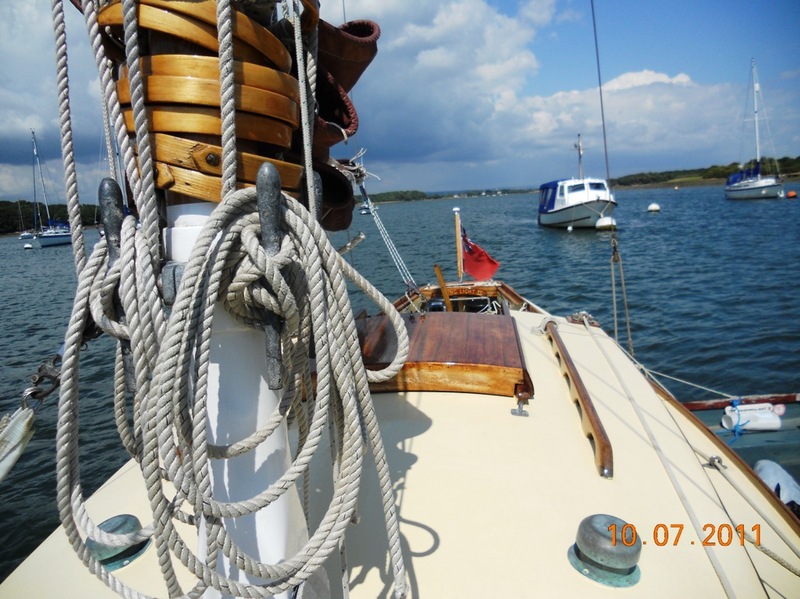 Mainmast and Bowsprit Oregon Pine. 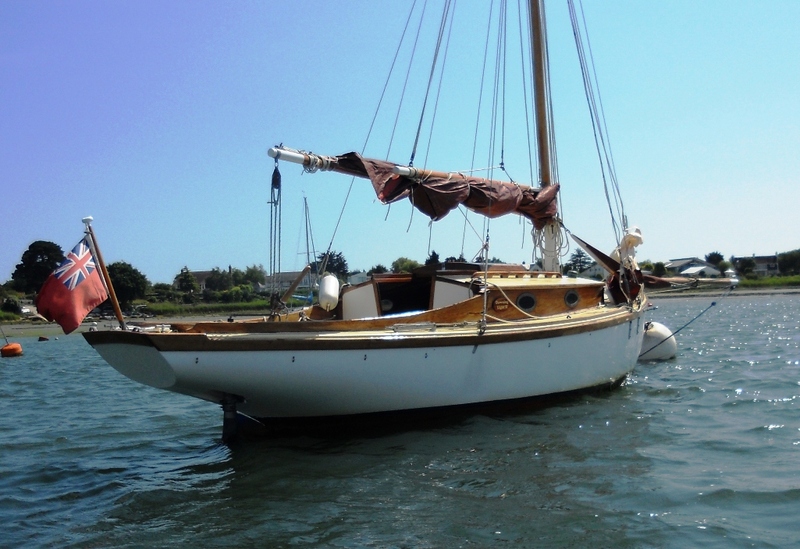 Gaff and Boom Spruce. 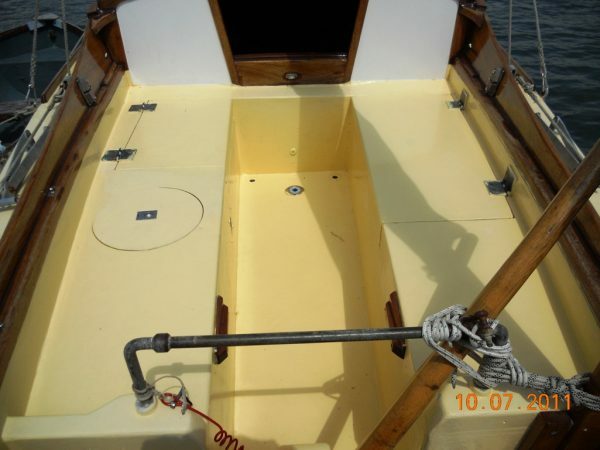 All spars have been stripped and re””“varnished. 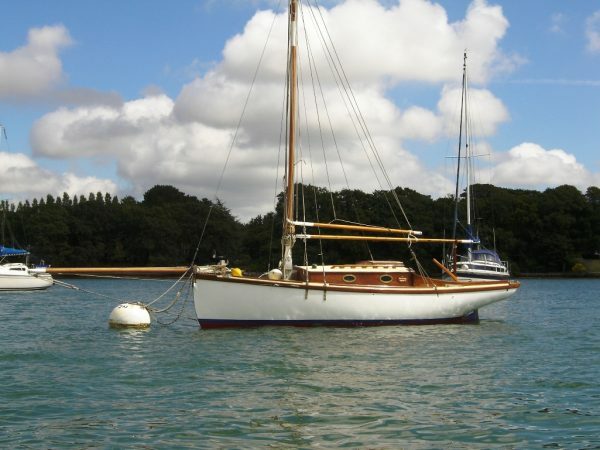 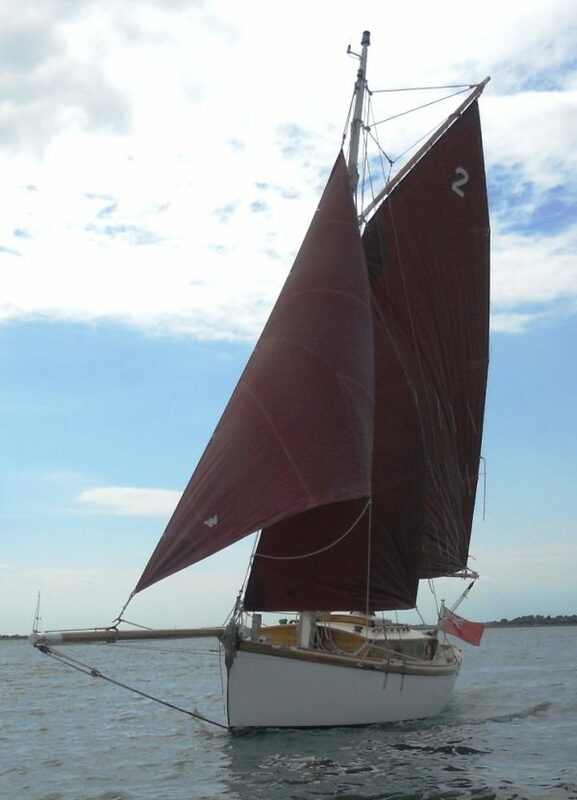 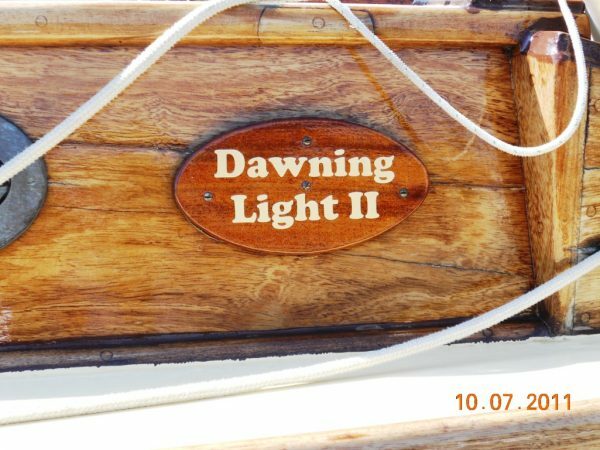 A traditional, relatively new tabloid gaff cutter offered in excellent condition throughout and ready to sail. 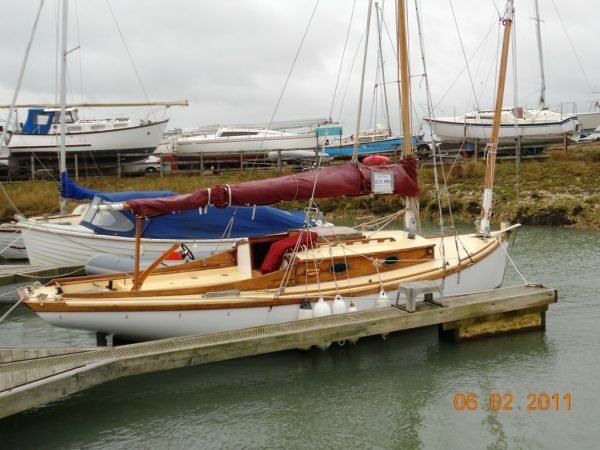 An able an attractive yacht ideal for weekending, estuary and coastal passage and a great deal of fun for the money.